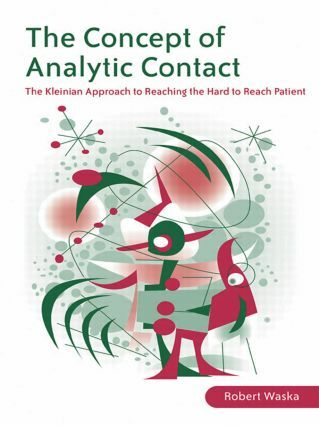 The Concept of Analytic Contact presents practitioners with new ways to assist the often severely disturbed patients that come to see them in both private and institutional settings. In this book Robert Waska outlines the use of psychoanalysis as a method of engagement that can be utilised with or without the addition of multiple weekly visits and the analytic couch. clinical reality, psychoanalysis and the utility of analytic contact. Analytic contact is demonstrated to be a valuable clinical approach to working analytically with a complicated group of patients in a successful manner. It will be of great interest to all practitioners in the field of psychoanalysis and psychotherapy. PART III Drugs, mutilation, and psychic fragmentation: is analytic contact stil l possible?